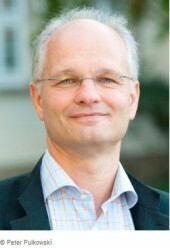 Prof. Dr. Johannes Paulmann, currently Richard von Weizsäcker Fellow, will speak today at St Antony’s College/Oxford on the topic “The Dilemmas of Humanitarian Aid: A Historical Perspective”. Humanitarian aid has been a malleable concept. It covers a broad range of activities including emergency relief delivered to people struck by disasters; longer term efforts to prevent suffering from famine, ill-health or poverty; or humanitarian intervention. The boundaries of humanitarianism have often been blurred. Existing narratives for the twentieth century provide no satisfactory explanation for the evolution of the field. We need to highlight instead historical conjunctures and contingencies such as wars and post-war periods, empires and decolonization. The emphasis on conflicting forces and multi-layered structures at particular moments in time provides a historical perspective revealing fundamental dilemmas faced by international humanitarian aid to the present day. This public lecture will take place on Tuesday 2nd December 2014, from 05:00 – 06:45 p.m. at the European Studies Centre. This entry was posted in Actualités / News, Lectures and tagged Humanitarian Aid, Humanitarian Intervention, Humanitarianism by Fabian Klose. Bookmark the permalink.